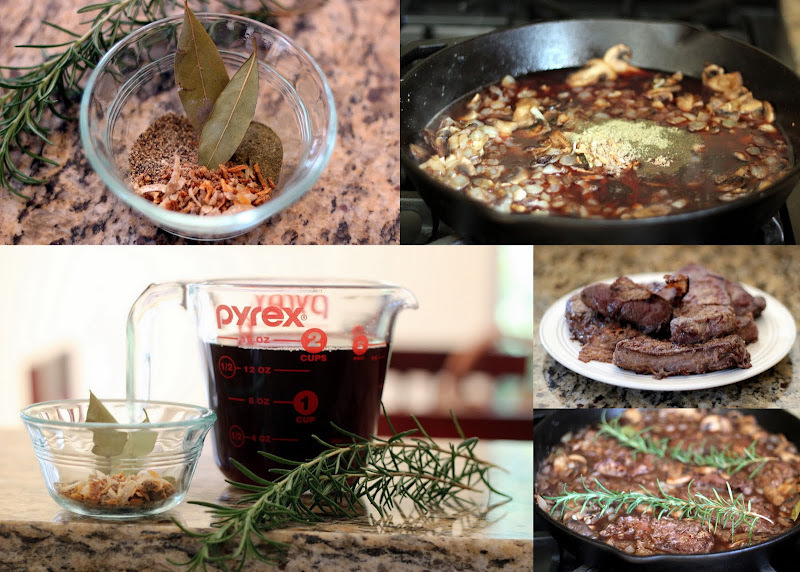 For our second installment in the WonderWife Venison Recipe Collection, I give you a recipe that's perfect for chilly fall days and makes the house smell amazing. 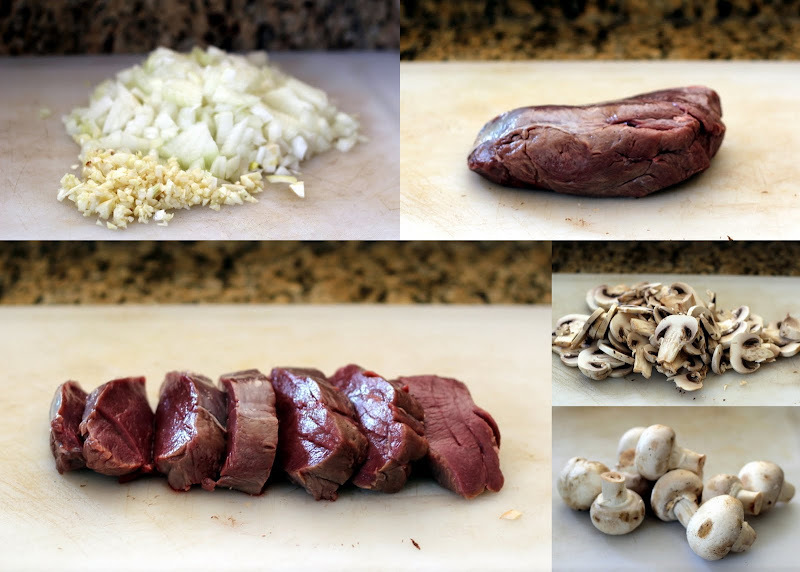 Unlike venison steak, which needs a tender cut of meat and is best medium to medium-rare, this dish utilizes a tougher cut of meat and is better the longer it cooks (like a stew). This would be perfect in a crockpot. Next, take a tough cut of venison - this one weighs about a pound and a half, perfect for the two of us plus leftovers - and slice into 'steaks'. 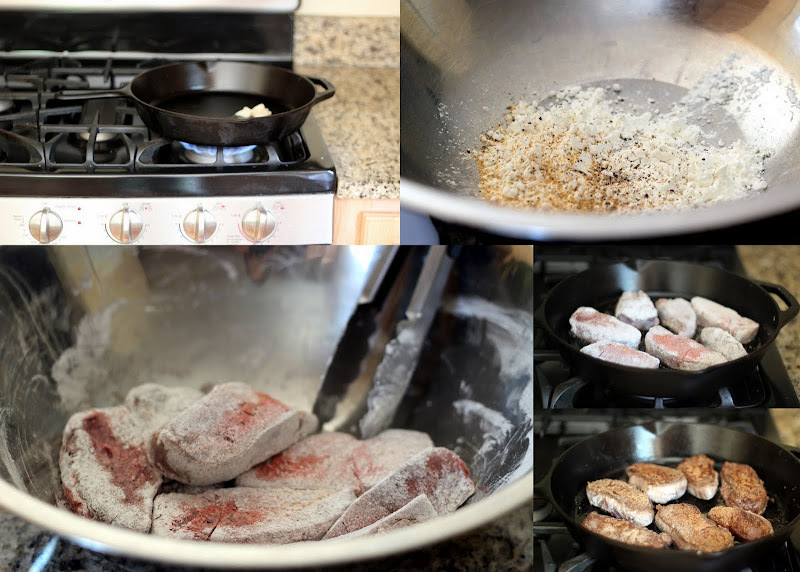 Toss the steaks in a large bowl with about a tablespoon of corn starch, seasoned salt, and pepper. Heat a hunk of bacon fat (or another fat/oil) in a skillet on HIGH. Brown the steaks - about 2.5 minutes on each side. Set aside on a plate. Now, heat a bit more fat, and brown the mushrooms on HIGH - you want some dark spots on those puppies. When that's done, scrape 'em off to the side, add a bit more fat, and brown the onions and garlic. Don't worry about caramelizing them or anything. They'll get nice and soft over the long cook time. Remember to give everything a good sprinkle of salt! While those are cooking, get the rest of your ingredients ready. Here we've got a couple stalks of rosemary (dried would be fine too - just use way less), a heaping teaspoon of French onion soup mix (you can substitute beef bouillon), half a teaspoon of pepper, and half a teaspoon of powdered thyme. I've also measured two cups of red wine. 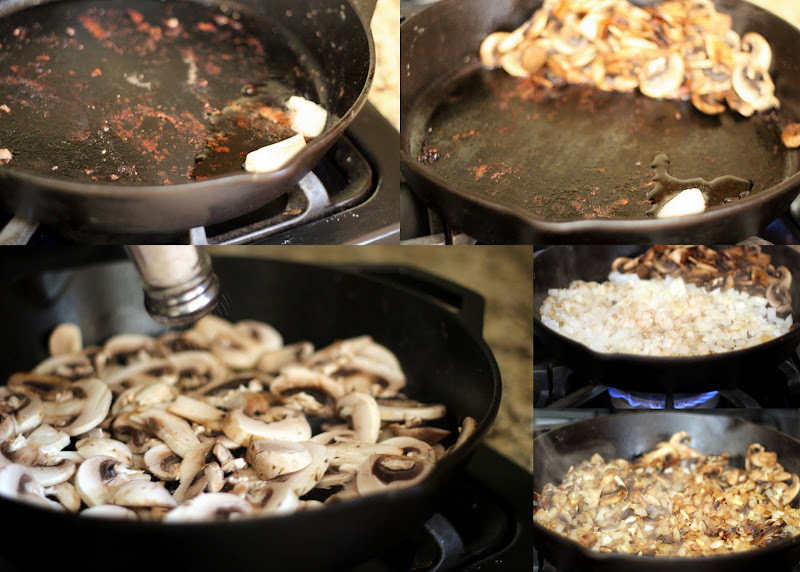 When the onions and mushrooms are browned, nestle the steaks in among them and add the wine, seasonings, and rosemary. Bring to a boil, then reduce to a simmer. Now, I haven't pictured this, but you want to COVER this skillet. I used aluminum foil. At that point, I could have put the skillet in the oven at 300, but I didn't want to heat up the house. I let it cook on the stovetop for 6 hours or so on low. I made sure I could hear a bit of bubbling. With this dish, the longer you cook it, the better. Six hours is the minimum time I'd do. I've cooked it for less and the results have been edible, but you want fork-tender, falling apart meat. When you uncover the skillet, there will still be liquid. Simmer it for a bit - maybe 20 minutes? - to thicken it up. When it's done, it'll be steak and mushrooms with a good bit of gravy at the bottom. Now, that doesn't look very pretty. Plate it up with some good fall veggies on the side, and you've got yourself one delicious venison meal. Not gamey at all! P.S. What do you all think about the collage-style photos? Better than normal single photos? Not doing it for you? Let me know what you think! I know this post is old, but it's just the time of year that I need a recipe like this for the weekend. It'll be early November, we're just a few weeks out from trying our luck again for deer hunting and still have a couple of roasts left from last year's deer. Especially now that it's cold enough to cook things that take a while. We have so much venison and I am tired of making the same things or trying to hide them in dishes. This looks awesome! I like the pic collage, but I especially like the added green to beautify the dish. ;) Looking forward to adding this to our meal plan!